People of different countries, races, religions, cultures have found social media sites as a virtual place to express their voices, ideas or do something fun. If you feel like loving everything that the best social media is offering, that there are even more websites than you would know, that are there to connect to others, for friendship, or romance, or even business. Yes, for enterprising people, the best social media sites have become a serious business. The world has come along so far that there are even websites to keep track of your social networking progress and its impact on you and your brand. Many popular best social media websites have altered over the years, and one can continue expecting them to change. At time what seems like the best social media trends, just fizz away over time and new ones take their place. Before dominance of Facebook and twitter and the like, MySpace and LiveJournal were the best rage in the town. Below is a summary of best and trendiest social media websites currently. Many of us know already that Facebook is the most used social network website on the web. There are more than a billion users and still it is thriving on. One even wonders that Facebook, which has held the no 1 spot for many years now, taking over Orkut and Myspace, what would it take to displace it from its top position. Facebook can be used by a wide array of people for different purposes like creating an online portfolio for networking and attracting employers, or finding old friends, family or general acquaintances and getting together with them again, or organizing of public or private events and gatherings by sending out invitations etc., and finally you can use Facebook to reach out to target audience for advertisement etc. Facebook is free for access. You can create an account on the website though you must be at least 13 years old and have a valid email ID. The one biggest downside for some people using Facebook might be its overreaching advertisement. Twitter has been changing over the years to really become a top notch source for information sharing, microblogging etc. Twitter is an ideal social platform especially for mobile users, which are increasing over the years. One of its best features is its simplicity. Twitter is a brilliant way to keep your friends and family apprised of what’s going on with your life. One can update their tweets (text-limited status updates), share articles and videos, and a lot more features which are added regularly. Twitter can allow you to engage people in a very viral way. For example, satisfied clients or customers will recommend your brand by retweeting about it. Thus your brand awareness would increase and this free marketing would really boost your business. People and celebrities from all walks of life use twitter and you can follow them. You will find that the latest breaking trends and news nowadays are broken over twitter and in this way you can always be at the forefront of any new information. You find yourself at that point of career where you need to start making professional connection, than LinkedIn is the perfect place for you. In terms of online presence, LinkedIn is up there with Facebook, Twitter etc. LinkedIn is widely branded as a social network for one’s career and its tagline “Relationships Matter” aptly sums up this networks motto. Nowadays even colleges and universities teach their students to use this website to get ahead in their careers. LinkedIn helps individuals and hiring companies to find each other. You can easily find solutions to your interest industry problems. One can easily look for professional answers from experienced individuals. The one major setback is that getting most out of LinkedIn requires a lot of effort and time to be put in for creating an attractive portfolio. Instagram was one of those startups in recent years that really took off. It was bought for a whopping 1 billion USD in 2012. Instagram is the most popular photo sharing social network for mobile devices. Its uniqueness stems from its real time sharing of photos and short videos while on the move. When Instagram started, it was exclusive to iOS but now is also available on Android and Windows Phone while you can also access it directly from browser as well. You can also edit your upload photos to, with Instagram offering a variety of different filters like “Toaster” etc. This makes this site so addictive and fun. This is very popular, heavily used social platform among the teens and younger users. This is more of an animated social networking site, as users of the site can remain anonymous if they choose to. Tumblr is famous for sharing of visual content. One can easily customize their blogs, catch up with friends, follow other users or even chat with perfect strangers. You will quickly find that posting great content can earn you a lot of followers quickly. Do use some caution as dealing with anonymous users requires. 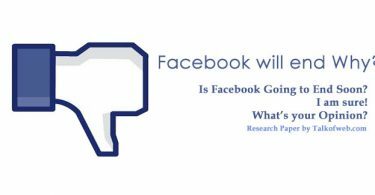 Will controlled Organic Reach Kill Facebook?